Most of the hill stations in India were developed by the British, around a central mall, to get respite from the oppressive summer heat. Many have picturesque lakes as their focal point, making them excellent places for boating activities. One thing is for sure, you won't be short of things to do at any of the hill stations in India. You'll find them all over the country. And, to add to the adventure, it's possible to take a toy train ride up to some of them. This article lists the most popular ones. Unfortunately, many of the hill stations have become overcrowded, especially during summer. Hence, some quieter nearby alternatives have also been mentioned. Srinagar, the summer capital of Jammu and Kashmir, delights visitors with its lovely lakes and relaxing houseboats. In fact, lakes and gardens are in such abundance there that Srinagar is often referred to as the "Land of Lakes and Gardens". The gardens have a distinctly Mughal influence, as many of them were cultivated by Mughal emperors. You'll find Asia's largest tulip garden in Srinagar, with a tulip festival held every April. Srinagar is a great place to visit if you're a golf enthusiast, as there are a number of courses there. Don't miss the many must-see Srinagar attractions. Manali, with its soothing backdrop of the Himalayas, offers a blend of tranquility and adventure that makes it one of northern India's most popular destinations. Although it's a popular place to go off on treks, you can do as little or as much as you want there. Located in the Kullu Valley of Himachal Pradesh, it's bordered by cool pine forest and the raging Beas River, which give it a special energy. 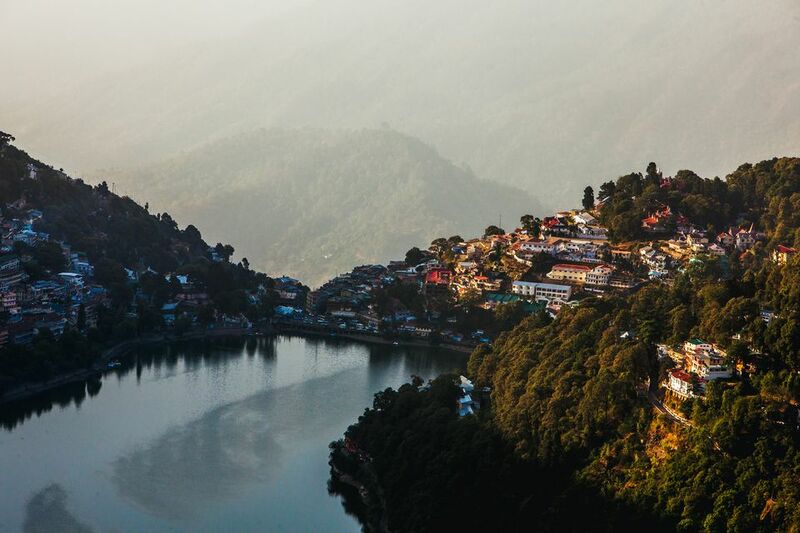 The hill station of Nainital, in the Kumaon region of Uttarakhand, was a popular summer retreat for the British during the time they ruled India. It features the serene, emerald-colored Naini Lake and an action-filled strip called The Mall, lined with restaurants, shops, hotels, and markets. Enjoy one of the many forest walks, explore the surrounding area on horseback, or relax on a boat in the lake. ​Around Nainital: For peace and quiet head to Jeolikot (15 kilometers south) or Pangot (15 kilometers north). Mussoorie, located around an hour from Derahdun in Uttarakhand, is a popular weekend destination for north Indians, as well as honeymooners. One of the reasons for Mussoorie's popularity is that it has a lot of facilities developed especially for tourists. Take a cable car to Gun Hill, enjoy a beautiful nature walk along Camel's Back Road, have a picnic at Kempty Falls, or ride a horse up to Lal Tibba (the highest peak in Mussoorie). Mussoorie also offers a superb view of the Himalayas. Around Mussoorie: Landour is smaller and sleepier. Shimla used to be the summer capital of the British Raj when they ruled India. Now it's the state capital of Himachal Pradesh. This town sprawls along a mountain ridge and is famous for its historical buildings and railway. The old Christ Church, with its beautiful stained glass windows, is one of Shimla's most prominent landmarks. Another is the Viceregal Lodge on Observatory Hill. These can be seen on a walking tour of Shimla. There are plenty of adventure sports and short hikes on offer in the vicinity as well. To get there, travel on the toy train to Shimla. Stay at Sunnymead Bed and Breakfast for an unforgettable gastronomic experience. Around Shimla: If you want to get away from the crowd in Shimla try Shoghi (14 kilometers south) or Mashobra (14 kilometers north). Or, perhaps a royal homestay at Dhami. A couple of hours away, visit apple country at Kotgarh. Seetalvan Orchard Homestay offers stunning views (and fresh apples in season) there. If you like tea, a visit to Munnar, in Kerala, is a must! The surrounding region is renowned for its extensive tea plantations. The Kundala Tea Plantations, which border a picturesque lake, offers the best opportunity to see the tea being picked and processed and to try fresh tea straight from the gardens. The area is blessed with the natural beauty of winding lanes, misty hills, and forests full of exotic plants and wildlife. Adventure enthusiasts can trek to Anamudi, the highest peak in south India, explore Eravikulam National Park, or go rock climbing. Stay at one of Munnar's hotels and homestays surrounded by nature. Established in the early 19th century by the British as the summer headquarters of the Chennai government, Ooty is now a very popular place to escape the summer heat in Tamil Nadu. If you travel there during the peak season in April and May, do be prepared for it to be crowded! Ooty's top attractions include the 22-hectare Government Botanical Gardens (a flower show is held there every May as part of the Summer Festival), boating on Ooty Lake, and climbing Dodabetta Peak for an excellent view of the Nilgiri hills. To get to Ooty, take the scenic toy train from Metupalaiyam. Around Ooty: Coonoor (on a ridge 17 kilometers southeast) is famous for its tea plantations, while Bellikkal (16 kilometers north) and Red Hills (28 kilometers southwest) have lakes and forests. Darjeeling is also famous for its lush tea gardens. In addition, it's blessed with a stunning view of Mount Kanchenjunga, the world's third highest peak. Some of Darjeeling's most popular attractions include historic toy train, monasteries, botanical gardens, a zoo, and the Darjeeling-Rangeet Valley Passenger Ropeway (the longest aerial tramway in Asia). Darjeeling is a great place to walk around and explore the tea estates, villages, and markets. Don't visit during the monsoon season though -- the region is one of the wettest places in India! Around Darjeeling: Nearby Kalimpong attracts fewer tourists and is appealing for adventure travel. Stay at Mansarover Homestay. Secluded Kodaikanal is nestled 120 kilometers from Madurai in the Palani Hills of Tamil Nadu. Its name means "Gift of the Forest", and you'll find many varieties of flora and fauna there. Orchards of pear trees and charming buildings with gabled roofs will greet you as you enter the town. There's an annual horticultural show at the landscaped botanical Bryant Park in May, waterfalls where you can enjoy a picnic beside, boating on the lake, and plenty of walking trails. Herbs and aromatherapy oils are some of the more interesting things to buy in Kodaikanal, with the eucalyptus oils being particularly popular. Around Kodaikanal: If you're disappointed by the unsightly development going on at Kodaikanal town, get some respite at Elephant Valley (22 kilometers away). The closest hill station to Mumbai in Maharashtra, Matheran offers plenty of walking trails and lookouts. The most unique thing about it and what makes it so special is that all vehicles are banned there -- even bicycles. It's a soothing place to relax away from any noise and pollution. Sikkim's capital, Gangtok, sits along a cloudy mountain ridge about 5,500 feet above sea level. Sikkim only became part of India in 1975. Before that, it was a small independent Buddhist kingdom with its own monarchy after the end of British rule. Gangtok is a popular base for travel throughout the state, particularly with trekkers. It's a well-organized and clean city with strict littering, traffic and tobacco laws. Attractions include monasteries, viewpoints, a cable car, and a zoo that houses rare animals rescued from traders and poachers.